The flower market in the old town area of Vijayawada, India caters to the needs of thousands of devotees who visit the 'Kanakadurga temple', a holy place for Hindus. 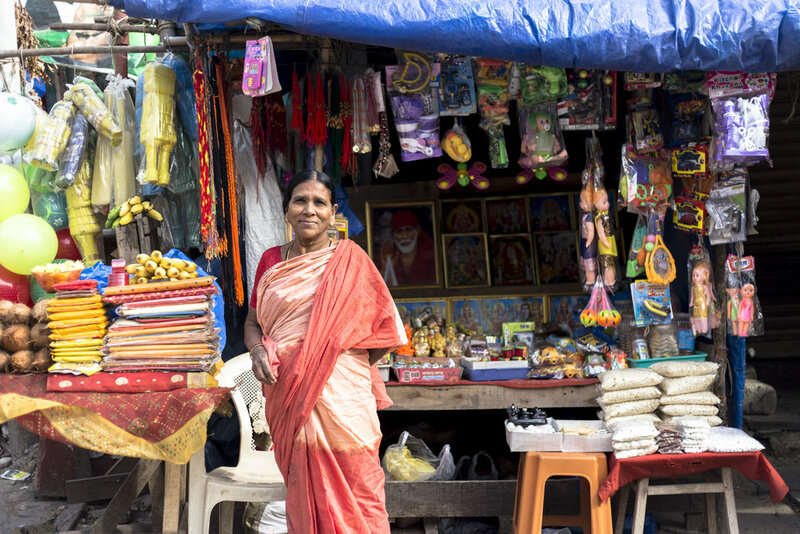 Catering to the different beliefs that devotees have regarding their offerings made to Goddess Durga, street vendors set up at the foot of the temple hill to sell various items as coconuts, fruits, flowers and sarees. Portrayed here are vendors co-existing peacefully within a shared market space.